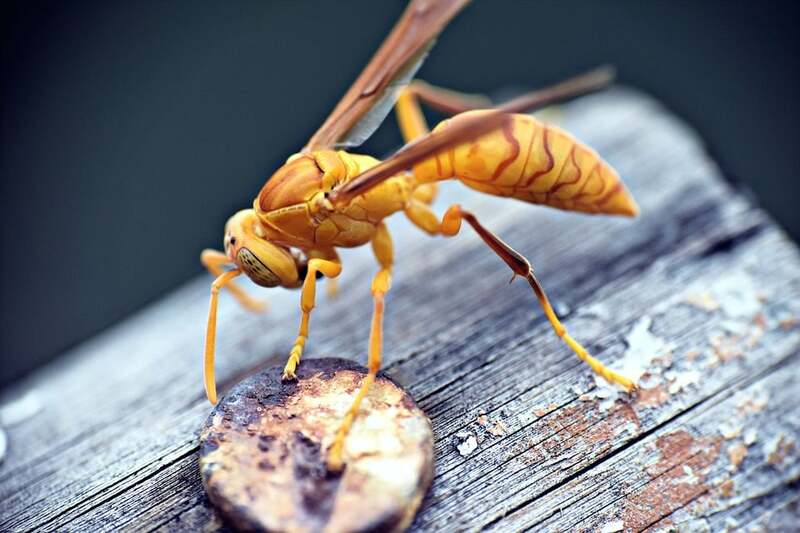 Wasps elicit fear in people, and for good reason, although these pests don’t kill humans unless they’re highly allergic to the bites, the problem is they can be very aggressive if their nest is threatened, and their sting is painful. The worst wasp pest in Geelong and the rest of Australia is the introduced European wasp. This wasp was introduced into this country in the 1950s and has no natural predators here, and unlike many native wasps, it serves no purpose environmentally. Most pest control call-outs for exterminators are for the treatment and removal of nests of European wasps or the native paper wasp in Geelong homes and commercial properties, due to both wasps’ aggression and colonisation habits. Wasps are a diverse group of insects belonging to the Order Hymenoptera and Australia has more than 12,000 species, very few of them regarded as pests. These native wasps range from the minuscule diapriidae wasp that is hardly visible, to the spider wasp, and cicada-killer wasp, both capable of taking large prey. Most wasp larvae are carnivorous and eat other insects and wasps. But if you have a nest of the European wasp or the paper wasp in your Geelong backyard, home or building, you’ll need a pest exterminator to deal with the problem nest as soon as possible. Why Are Wasps So Harmful? Do You Need a Wasp Control Expert? Wasps are sometimes mistaken for honeybees because both pests pack a sting. While bees and some wasps look similar, they differ in their behaviour and their nests. If you have a serious wasp pest problem in your Geelong workplace or home you’ll need a wasp exterminator for the removal and control of the problem. Wasp control and removal solutions are as important in a commercial setting as it is in the home. So call Acacia Pest Control today to deal professionally and effectively with any wasp nest problem. A skilled Geelong pest exterminator will skilfully apply expert control techniques. Call Acacia Pest Control for advice. At Acacia Pest Control Geelong we keep abreast of all the latest wasp pest removal and control innovations. We support over 200 local businesses and over 10,000 families by providing professional exterminators for the removal of any wasp nest. The removal of a wasp nest problem in your Geelong premises is advised because this pest can cause significant damage to property, and they also displace native birds, animals, and insects that benefit the ecosystem – such as native bees and ladybugs. Wasps also pack a painful sting. Depending on how well they tolerate a wasp sting, the symptoms will vary from person to person. Most people without allergies may show only minor symptoms, but a wasp can call other members of the colony via a pheromone, or scent chemical, to help attack anyone they fear is threatening a nest. The European wasp doesn’t die after it stings (unlike bees) so it can sting a number of times and the pain is intense. There are several toxins in the wasp stinger which can cause an allergic reaction in some people. Any swelling and pain will normally ease in a few hours, but the pain is worse than a bee sting. If symptoms remain, do seek medical advice. If you have a wasp pest problem, call in a professional exterminator in Geelong. An Acacia Pest Control exterminator can apply removal and control techniques to rid your Geelong commercial premises, home, shed or yard of any problem wasp nest. The types of wasp found in the Geelong area are usually the European wasp or native Paper wasp. Both species are social insects that colonise in a nest and will sting repeatedly if disturbed or threatened. 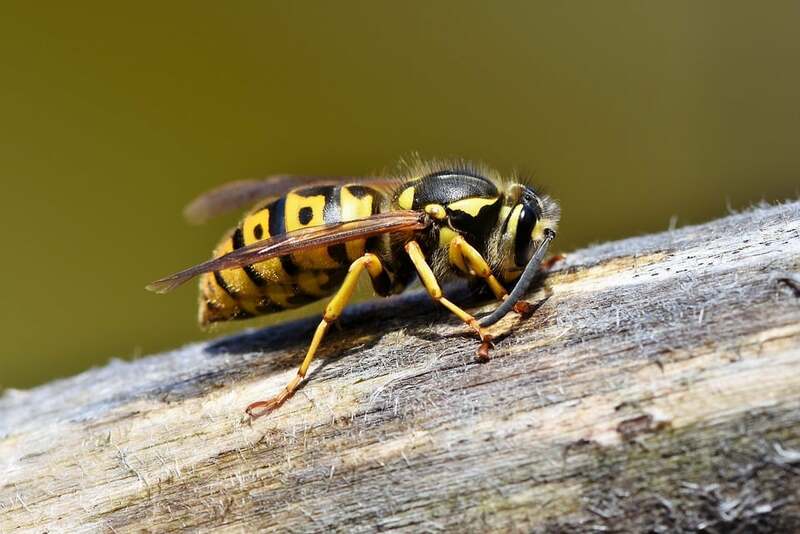 Their nests tend to be found in the retaining walls, garden beds, under gutters and around power meters in Geelong homes and buildings and can be filled with a large number of wasps at a time. There are lots of beneficial and harmless native wasps that are mistaken for the European wasp, and they include the native yellow paper wasp. Native wasps, including the paper wasp, help to pollinate by feeding on nectar. They also control populations of common pests, such as caterpillars, by eating the larvae. But even the native paper wasp shouldn’t be left to build nests near the home or commercial premises because they will attack if anyone goes near the nest. At Acacia Pest Control Geelong, we strive to be the best at identifying, qualifying and delivering wasp nest removal and control measures. Our exterminators have solutions that go beyond our customer’s expectations. 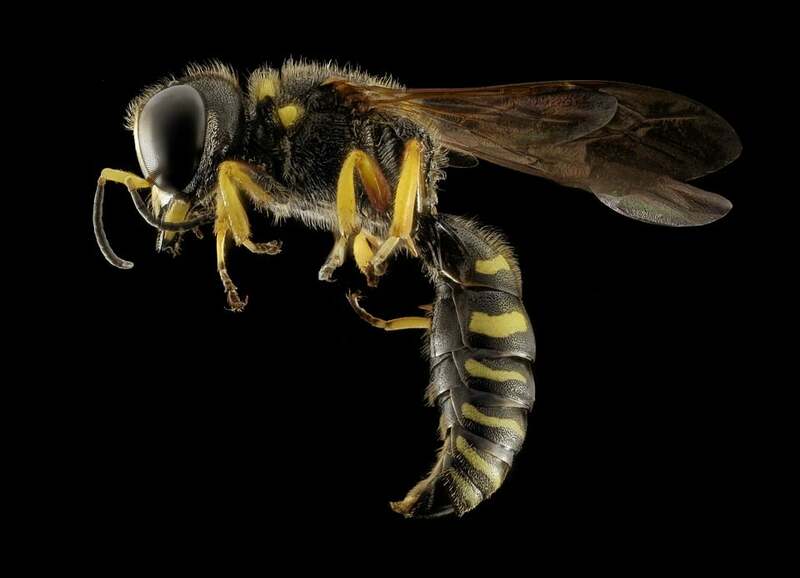 The European wasp has a stout body, with a bright yellow and black banded belly, but they’re certainly not the kind of insect you’d want making a nest near your Geelong home or office. This nasty wasp colonises in large nests, with a queen, reproductive males, and a battalion of female foragers. The nest is usually built underground, or in ceilings, wall cavities, logs, trees and compost heaps. These wasps are highly active in very large numbers in and around Geelong, and if a colony is left without treatment, these numbers will only increase. 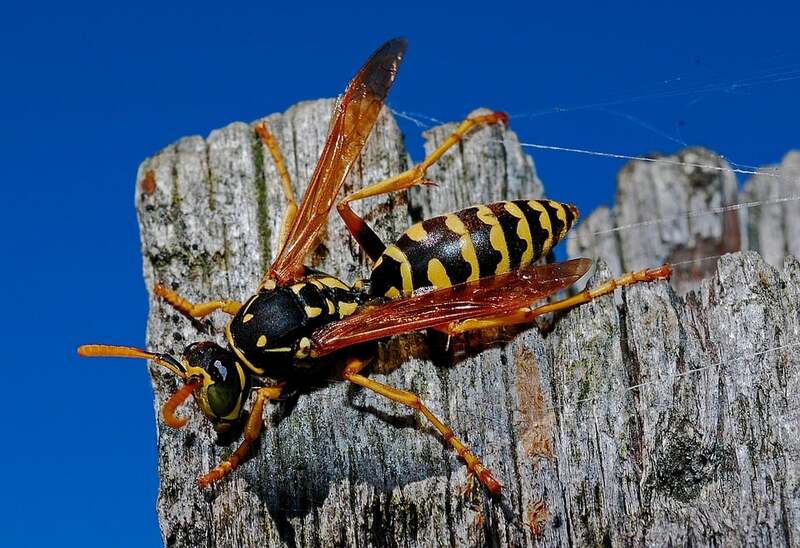 If you see golf ball-sized (or larger) spheres hanging from fences, or the eaves of your home for instance, then you have paper wasps, which also have a painful sting and will attack. If wasps can enter via holes and gaps and build their nest, they are a problem because a lost or stray wasp can enter. And once one comes in, the rest might invade your living room or outdoor areas causing mayhem if you want to have a barbecue, work in the garden, or let the kids play. If the kids or pets play in the yard, a wasp nest in the gardens, wood pile, or retaining walls, etc in your Geelong home, it’s poses a significant risk, especially if a child or pet accidentally finds a nest and disturbs it. If you see bee-like wasps fly to and from a mound or ball of what looks like papier mãché in the ground, then you have a nest of European wasps. This nest may often be attached to a wall or tree or other structure. If wasps are inside your Geelong house or office in huge numbers and they gather against windows this usually indicates ‘breakthrough’ of the wasp nest as they chew through the wall next to their nest. Wasp stings can be extremely painful, especially if you’re attacked by a mob of them, so any do-it-yourself treatment of any nature isn’t advisable. The level of risk, especially if you’re allergic to the wasp stings, is very high and it’s important to ensure that the wasp is correctly identified so the right removal techniques are used to deal with your wasp pest problem in Geelong. Wasp pest removal, and control by a professional exterminator in Geelong is advised also to make sure the queen is killed and can’t recolonise the nest. At Acacia Pest Control Geelong, our professional exterminators are highly knowledgeable about wasp species, nests, habits, breeding, and behaviour, and can provide effective control, and removal of wasps and nests. At Acacia Pest Control Geelong, our specially trained wasp eradication and control exterminator will identify the specific wasp species that is a problem pest in or near your home or commercial premises, and then apply treatments accordingly. The exterminator will find the nest sites that are too close to the house or yard, or in the house or yard, depending on where the pest problem is located. 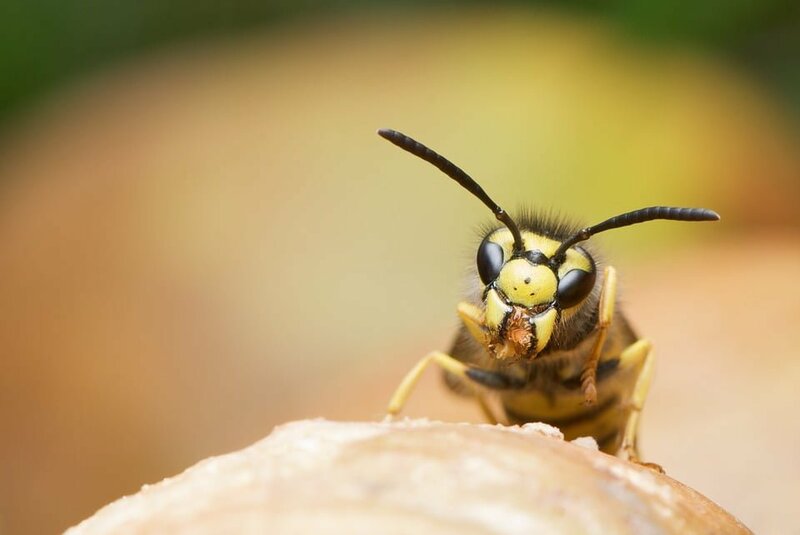 The removal options will be customised to your situation to ensure effective control of the wasps, depending on the pest species and location of the nest or nests. If you think you may have (or know you have) a nest of these nasty wasps on your Geelong property, it’s best not to ignore it because the pest problem will only grow and result in a wasp population explosion. Acacia Pest Control Geelong will respond quickly to your wasp nest problem, so call us today on 1300 257 774 or send an email to info@acaciapestcontrol.com.au.